Are you looking for long term storage Sydney, where you can keep your belongings safe, secured? As well as quotes that definitely suit your budget? Good news! Macy’s Mobile Sydney Storage can provide great depot features that will make you feel relax and confident that your belongings are in a safe place. We have various types of depot modules that we can cater you with. And they can absolutely suit your demand and budget. 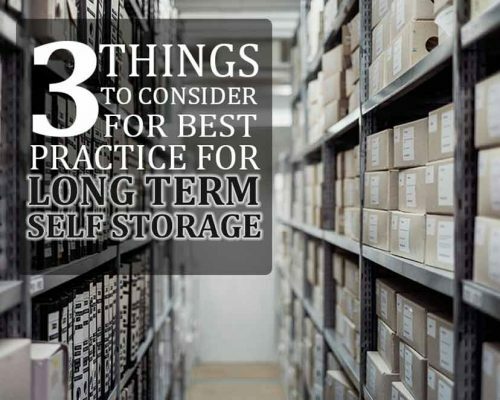 Just like long term storage Sydney, you can keep your items as long as you want. Whether you are planning to have a move, renovation or vacation, you can trust your belongings to us. One of the best uses of long term storage Sydney that Macy’s Mobile Self Storage provide is during school breaks. Especially when you enter college, there will come a time that you need to go home to have a vacation. Some are planning to have a long trip somewhere. So, there is a huge tendency that you have to keep your school stuff somewhere nearer to your university. Good thing, we have the flexible team that will take care of your belongings when you are away. You can keep them for as long as you want which is really convenient. Another advantage of long term storage Sydney is you can avail it at a cheaper price. 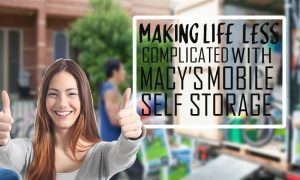 Macy’s Mobile Self Storage wants to make sure that you can avail the units you need and prefer. We offer great deals and discounts when you choose to lease a depot with us. Your items deserve to be handled with care while you are away. We know how valuable your things to you and that motivates us to do our job well and keep your possessions safe and secure while they are on our premise. Whether you are storing family air looms or memorabilia that you can’t let go of, even business stuff, we got you! We value the trust that our loyal clients give us so you can rest assured that your things are safe with us. Furthermore, having a long term storage Sydney can also help you when you are having a job relocation. When a good opportunity comes, grab it and let us take care of your stuff while you are embracing a greener pasture. And when you get back, you can still see your belongings in a good state just like when you left them with us. Macy’s Mobile Self Storage Sydney can secure and prevent them from getting damaged. Since our facility has security features that can prevent your things from getting stolen. Getting long term storage Sydney can also be beneficial when you plan to have a business, commercial and even library relocation. Before your move starts, you can keep your business stuff safe on our end. Another great thing about it is that you can store any kinds of furniture or items as long as it will not ruin your depot, is totally fine. At the same time, you can also store some old and new books that you no longer and still don’t need in the new location. And when you feel like getting them, feel free to visit us at our facility or give us a call so we can deliver your things right to your door. Isn’t that time-efficient? Do you want to get more details about our depot units? Then, give us a call today and let us assist you with your concerns. Feel free to ask questions about how our process works. You can also get more details by visiting our blog section for more helpful hacks and tips. So, what are you waiting for? Check out what depot unit suit your needs as well as your budget! This entry was posted in Storage and tagged long term self storage, long term storage, moving, self storage.